Dave Price, weather anchor/co-host for WNYW-TV/Fox 5 New York's morning program, will join The Early Show later this month as weatherman and a featured reporter. It is part of a multi-pronged agreement with CBS News, WCBS-TV, the CBS-owned station in New York, and King World Productions, according to Leslie Moonves, chairman and CEO of CBS. On The Early Show, broadcast weekdays from 7-9 a.m. ET/PT, Price will join the anchor team of Harry Smith, Hannah Storm, Rene Syler and Julie Chen. Later this summer when his previous local contractual obligations allow, he will become the weatherman on WCBS-TV's CBS 2 News This Morning from 5-7 a.m. ET. Price will also work with King World Productions to develop on-air programming opportunities as well as appear on some of the company's existing programs. "Dave is a unique and versatile broadcaster who is a significant personality in the nation's number one market," said Moonves. "We're extremely pleased to have made this creative arrangement that will allow him to use his many talents nationally and, at the same time, strengthen our position in New York." Price said he loves morning television. "It's tough for all of us to get up in the morning, he said, "but if you can get all the news and information you need and also leave with a smile or a laugh, then it makes the day start just a little easier. My alarm is set and I can't wait to start." At WNYW, Price played a major role in the station's coverage of the Sept. 11 attacks on the World Trade Center, the crash of American Airlines flight 587 and the Iraq war. In New York, Price was the recipient of two Emmy Awards, for Best Feature Series and Best Host. 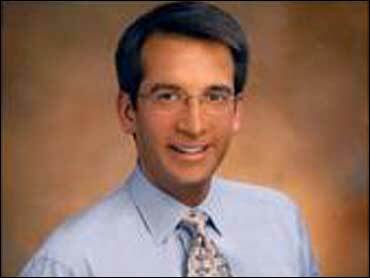 Before that, Price was the host of "Good Day Philadelphia," the morning program of Fox's WTXF-TV (September 1998-July 1999). He also provided feature stories and on-site coverage of major news events, which included reporting from the Persian Gulf. Price's broadcast received an Emmy Award for Outstanding Television Newscast. Price, born in Poughkeepsie, N.Y., first worked for CBS at WBBM-TV in Chicago, where he served as the morning weather anchor and contributed feature and entertainment reports, as well as a weekly piece on the quirky side of life in Chicago. He received two Emmy Awards for his work there. On a lighter note, he was voted one of People magazine's 50 most eligible bachelors in 2001.